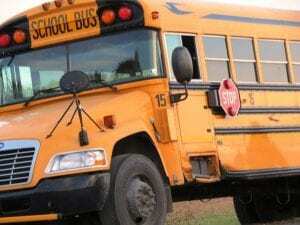 Columbia County, NY (October 10, 2018) – The Columbia County Sheriff’s office reported an accident that involved a school bus on Route 32 Tuesday afternoon, October 9. The crash took place at around 4:00 p.m. According to authorities, 71-year-old Daniel O’Connell, of Hillsdale, attempted to pass several vehicles while traveling west on Route 23. One of the vehicles was a Taconic Hills school bus carrying two students, ages 14 and 15, as well as three district staff members. The driver, 59-year-old David Dougherty attempted to turn left onto County Route 16 while O’Connell was trying to pass. O’Connell’s BMW crashed into the driver’s side of the bus as a result of the attempted pass. Both vehicles became disabled due to the impact of the accident. Fortunately, none of the five passengers were injured during the crash. However, Dougherty had to be transported to Sharon Hospital after complaining of a neck injury. O’Connell was cited for improper passing, although no further information has been released. We wish to offer our warmest sympathies to the injured victim of this accident. A car accident in New York can occur for a host of various reasons, often related to the negligent operation of a vehicle, such as high speed. It is important to understand that if someone causes an accident that was not your fault, you have rights. A competent and experienced New York accident attorney can ease your burdens and guide you through the demanding path toward compensation. At Hach and Rose, we realize the emotional and financial distress that often follows a sudden crash. We pride ourselves on our desire for assisting the members of our community, and holding negligent parties liable for their actions. If you have been injured in a New York car accident, please don’t wait to call 212-779-0057 to discuss your next move today.